A world where a war between heroes and villains is being fought to a stalemate, with humanity becoming the collateral damage part of the equation...The heroes know they are losing the war. And in the middle of this world-changing conflict, a new threat seems to be emerging: the Alters. They are mutants, possibly – or perhaps they are some kind of ultimate end to our genetic road map. Whatever the case, Alters seem to be emerging all around the country... and they are met with fear, distrust, and prejudice. They manifest new, dangerous powers that emerge without warning. The promo copy includes this line, "From a diverse team of creators composed of differing genders, gender identities, ethnic backgrounds and sexual orientations comes a groundbreaking first-ever superhero series with a central transgender protagonist created by a mainstream writer." The publisher says Alters is best suited for ages 15+, though Jessica, who suggested the series to me, gauged it as PG-13. Thanks for the recommendation, Jessica! 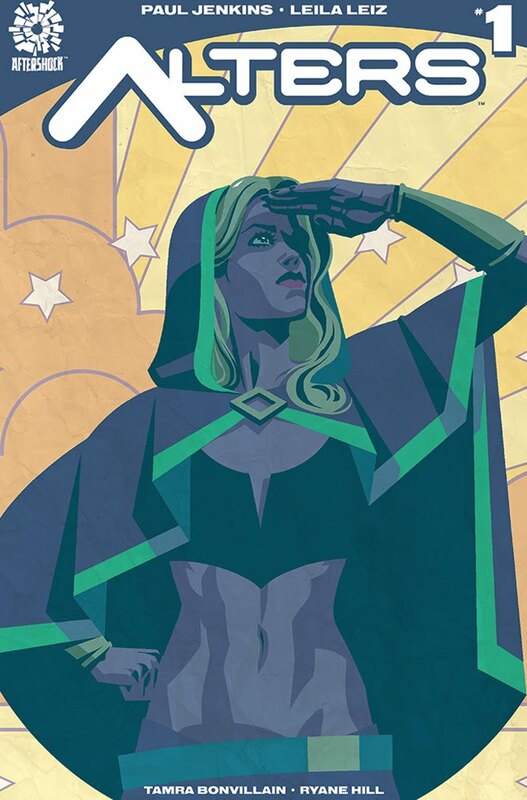 Add your review of any or all issues of "Alters" in comments!